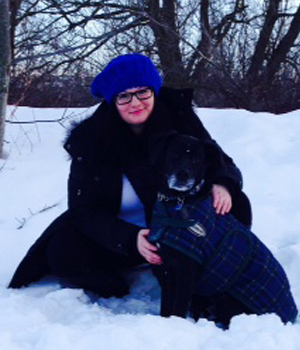 Miranda graduated from Ridgetown College – University of Guelph in 2004 from the Veterinary Technician program. She has taken a special interest in Emergency and Critical Care medicine and had been practicing this since graduation at the London Veterinary Emergency Clinic. Miranda came to Campus Estates Animal Hospital in March, 2013 and continues to work Emergency services overnight. Miranda has a soft spot for wildlife and rehabilitation for just about any animal. She has been rehabilitating sick, injured and abandoned animals for over 15 years. She resides in Kitchener with her partner and their many fur babies including Maxie; a handsome 12 year old chatty orange kitty, Finnigan; a 9 year old loving Labrador and Peanut; a 1 year old rescued conure (just to name a few). In her spare time she enjoys kayaking, camping, traveling and spending time with her family and friends.